Home Giveaway Happy Mother's Day GIVEAWAY! Picture Collage Maker (Mac & Win) 100% off for Mother’s Day. GIVEAWAY! 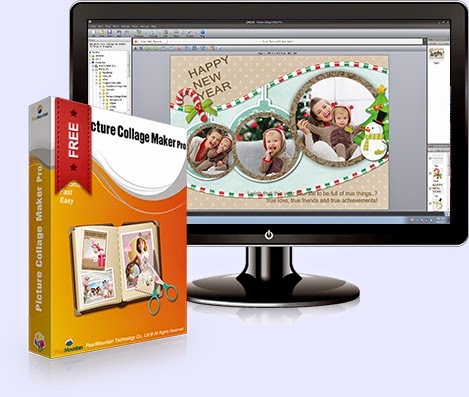 Picture Collage Maker (Mac & Win) 100% off for Mother’s Day. Mother's Day is here again. It is the best time to honor and cherish the special bond of love that you and your mother share. Of the many people who add value to our lives, a mother is undoubtedly the most special one. She does so much for children and the least one can do is to acknowledge her hard work and her selfless love with special gifts that full of your sincere gratitude. When you wish to pamper your mother with loads of gifts on this very special occasion of Mothers Day, photo collage that can vividly record mothers’ whole life journey forever comes an excellent gift idea. Why not make a personalized collage gift for her with PearlMountain’s powerful app Picture Collage Maker?The good news is that PearlMountain prepares a three-day giveaway for Picture Collage Maker during Mother’s Day from May 10 at 0:00 CST to May 12 at 24:00 CST.  Numerous templates about different styles and various occasions.  Customize collages with powerful editing features.  Decorate collages with text or a handful of diverse embellishments: clipart, frame, mask, etc.  Export collage as different image format or print it out directly to share it with friends or families. If one wants to present a self-making collage as a gift to mother should not miss this giveaway contest. It only runs for three days from May 10 to May 12 at PearlMountain giveaway page:http://www.picturecollagesoftware.com/giveaway. Just try to give your mom a big surprise on this Mother’s Day!